Recorded webinar: When to use the different Text Analytics tools? Last February 9th we presented our webinar “Classification, topic extraction, clustering… When to use the different Text Analytics tools?”. Thank you all for your interest. An introduction to Text Analytics. Which application scenarios can benefit most from Text Analytics? Conversation analysis, 360° vision, intelligent content, knowledge management, e-discovery, regulatory compliance… Benefits and challenges. What are the different Text Analytics functions useful for? Information extraction, categorization, clustering, sentiment analysis, morphosyntactic analysis… Description, demonstration and applications. What features should a Text Analytics tool have? Is it all a question of precision? How to enhance quality? A look at MeaningCloud’s roadmap. IMPORTANT: The data analyzed during the webinar can be found in this tutorial. Most valuable information for organizations is hidden in unstructured texts (documents, contact center interactions, social conversations, etc.). Text Analytics helps us to structure such data and turn it into useful information. But which text analytical tools are the most appropriate for each case? When should I use information extraction, categorization, or clustering? 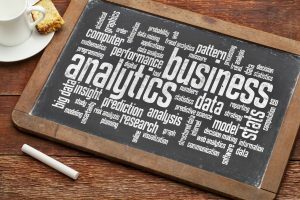 Which applications can benefit most from Text Analytics? What are the challenges? Register for this MeaningCloud webinar on Wednesday, February 8th at 9:00 PDT and discover answers to these and other questions through practical examples.